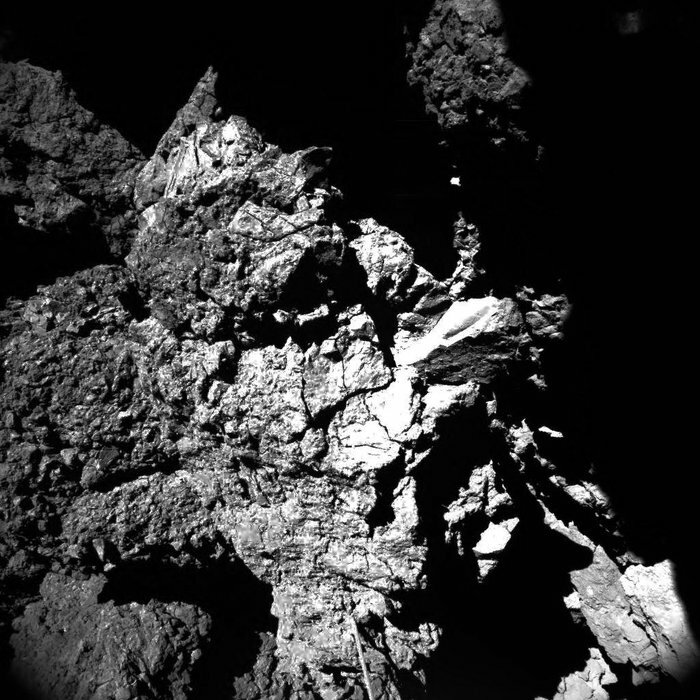 July 30, 2015 – Complex molecules that could be key building blocks of life, the daily rise and fall of temperature, and an assessment of the surface properties and internal structure of the comet are just some of the highlights of the first scientific analysis of the data returned by Rosetta’s lander Philae last November. 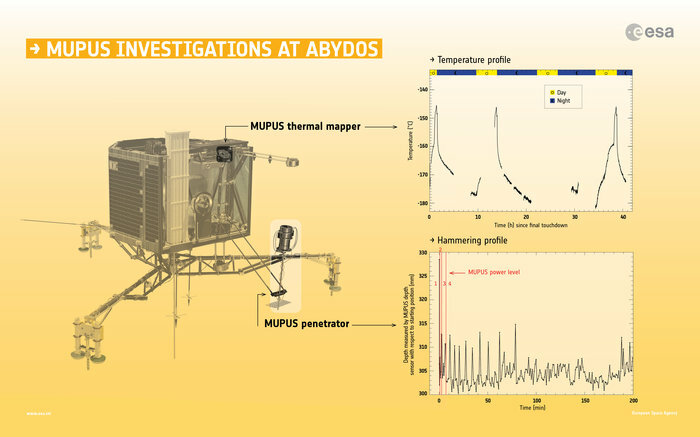 Over a kilometre away at Abydos, not only did the images taken by CIVA’s seven microcameras reveal details in the surrounding terrain down to the millimeter scale, but also helped decipher Philae’s orientation. 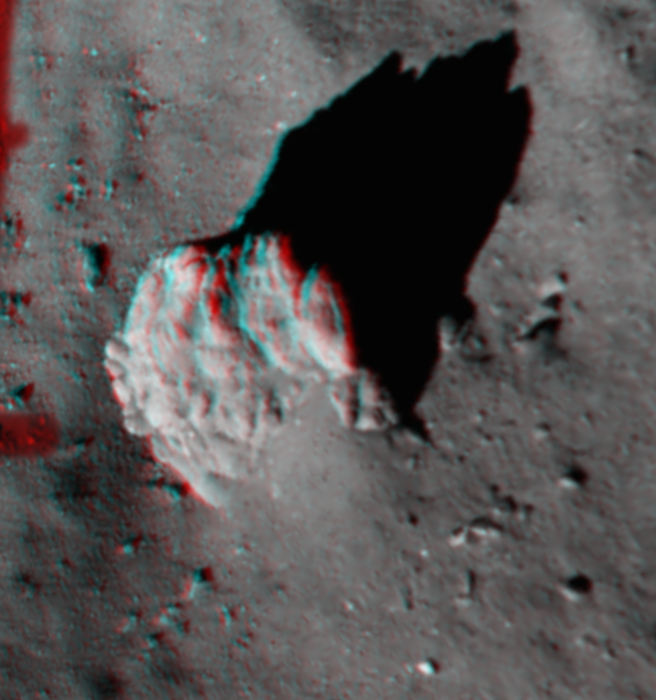 Moving below the surface, unique information concerning the global interior structure of the comet was provided by CONSERT, which passed radio waves through the nucleus between the lander and the orbiter. The results show that the small lobe of the comet is consistent with a very loosely compacted (porosity 75–85%) mixture of dust and ice (dust-to-ice ratio 0.4–2.6 by volume) that is fairly homogeneous on the scale of tens of meters.